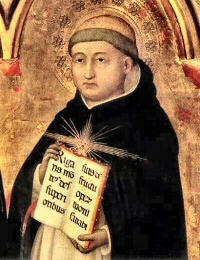 For Thomas Aquinas, the moral virtues not only restrain the desires of the human soul, they perfect those desires. Thomas draws on Aristotle by building his discussion on the four cardinal virtues of wisdom (prudence), justice, moderation (temperance), and courage. The moral virtues are not like the intellectual virtues in that the moral virtues make the individual intrinsically good, and unlike the intellectual virtues the moral virtues cannot be used for evil ends. Since the individual acquires the moral virtues a change is wrought in that person's character. The display of the moral virtues in an individual is a matter of habituation. One lives virtuously because that is who one has become. The four cardinal virtues specifically address the four cognitive and perceptual powers of the human soul that order it-- wisdom perfects the mind, justice completes the will, moderation develops an attraction only for what is truly pleasant, and courage cultivates the ability to face what is unpleasant and painful. These virtues cannot be misused for immoral purposes. Immorality demonstrates that the moral virtues are absent from the individual. Thus, for Thomas the ends of virtue are not only significant, the means by which the ends are achieved concern virtue as well. Indeed, for Aquinas actions themselves are ends. In perfecting the soul's desires, the moral virtues work together. Wisdom makes justice possible. Justice can only be just when seeking the good and restraining the desire for revenge, and courage makes the pursuit of wisdom and justice possible; for they can only be pursued when the soul confronts the averse. It is important to note that Aquinas also classifies wisdom as an intellectual virtue. Unlike the other intellectual virtues, wisdom (often called "practical wisdom") cannot be misused because it is habitual. It perfects the intellect so that the individual seeks and executes only the good. In the perfecting of the human soul, practical wisdom and the moral virtues interact in a unified and harmonious way ("the unity of the virtues"). Aquinas accepts Aristotle's view that the moral virtues can be acquired through habitual practice suggesting that the moral virtues are not necessarily theological in nature. But Aquinas also believes that God can infuse the moral virtues into the individual soul. Virtue infused is God's work; it is not humanly achieved, and therefore, it makes possible the supernatural display of the moral virtues. Thus for Aquinas, it is possible for an individual to habituate the moral virtues in one's life through acquiring them (in continuity with Aristotle), but such displays will only be ordinary, that is natural. An extraordinary, supernatural embodiment of the moral virtues requires the grace of God which, according to Augustine, is what "God works in us, without us" (On Free Will). 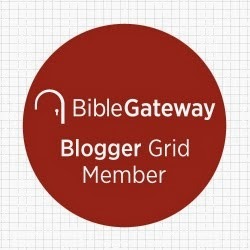 Moderation acquired, suggests Thomas, restrains an individual from eating and drinking what is harmful to the body, but moderation infused leads to fasting and abstinence from drink in order to bring the body into divine subjection. It is this differentiation between acquired moral virtue and divinely infused moral virtue that turns Aquinas' attention to theological virtue.